What’s this? Has Lady Autumn been playing in her wardrobe again? In the manner of all divas, this elusive elf has made us wait for her appearance. At last she has graced the stage. First to feel the touch of her hand were the mountains and high hills. 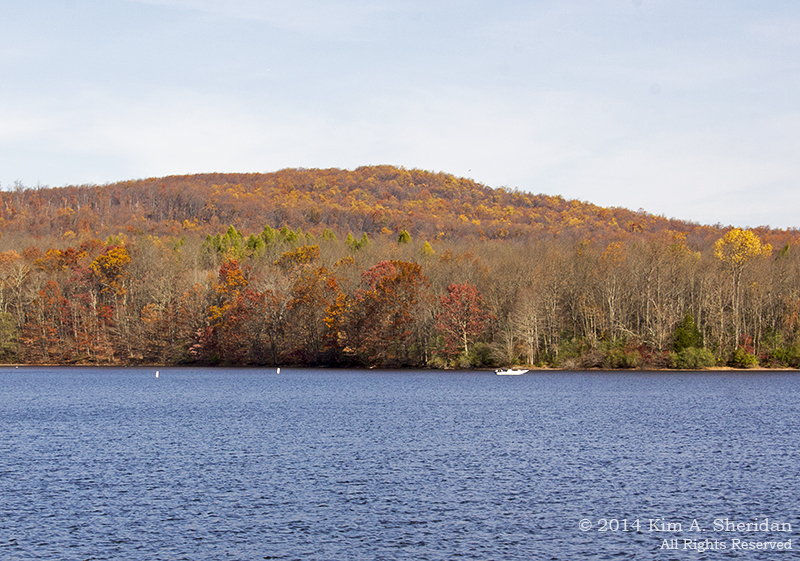 Haycock Mountain wears Her Ladyship’s colors along the shimmering blue shores of Lake Nockamixon. 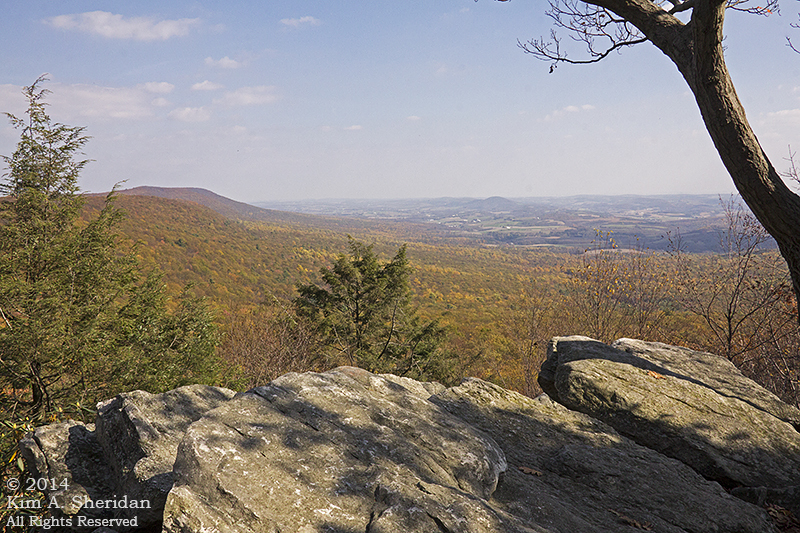 Hawk Mountain is similarly adorned. One can do worse than to sun oneself on an outcropping of Tuscarora sandstone, watching while raptors journey past, and vultures circle lazily over the slopes. Here flies a courier of the autumn elf. 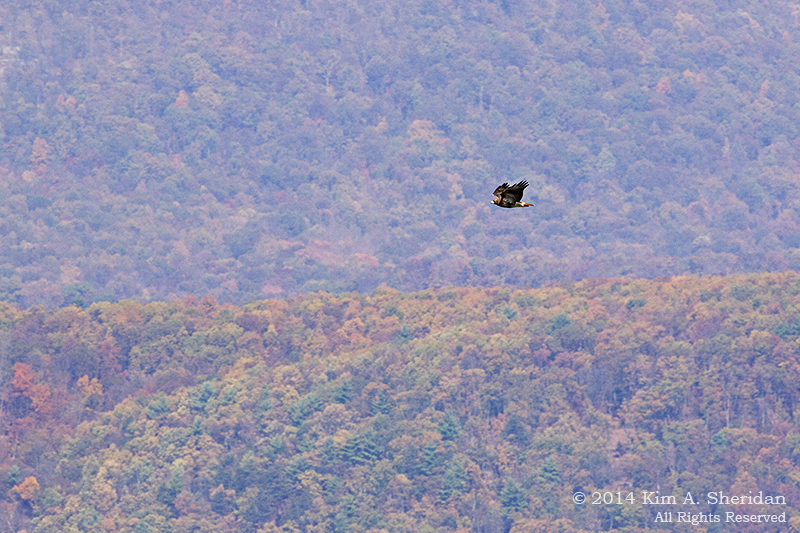 A Red-tailed Hawk wings its determined way south on a mission of migration. 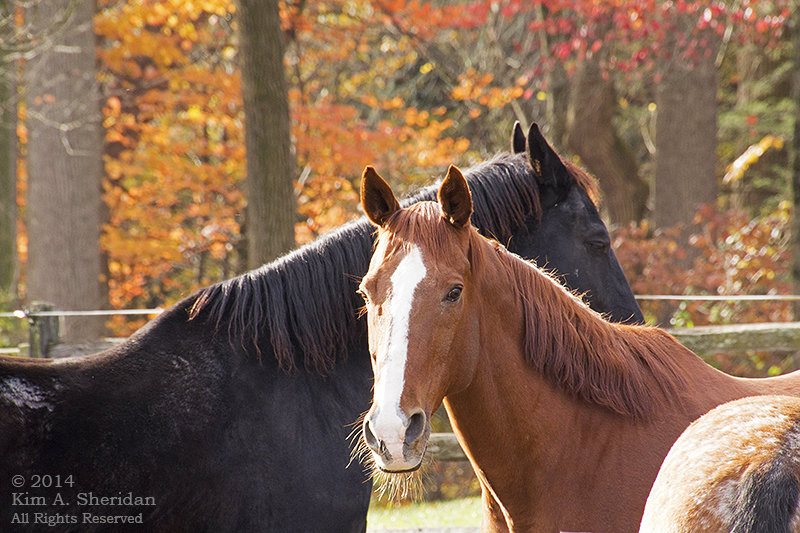 Her Ladyship’s steeds soak up the sunshine on a fine autumn day. Fun Fact: The Summer Queen bedecks herself in leaves of green, while Lady Autumn chooses golden yellows, fiery reds and blood-deep purples. Yet these are in fact the same leaves. Why do they change color? Like much in life, it has to do with food. Plants use the chemical chlorophyll to make food from sunlight, a process known as photosynthesis. Chlorophyll gives leaves their green color. 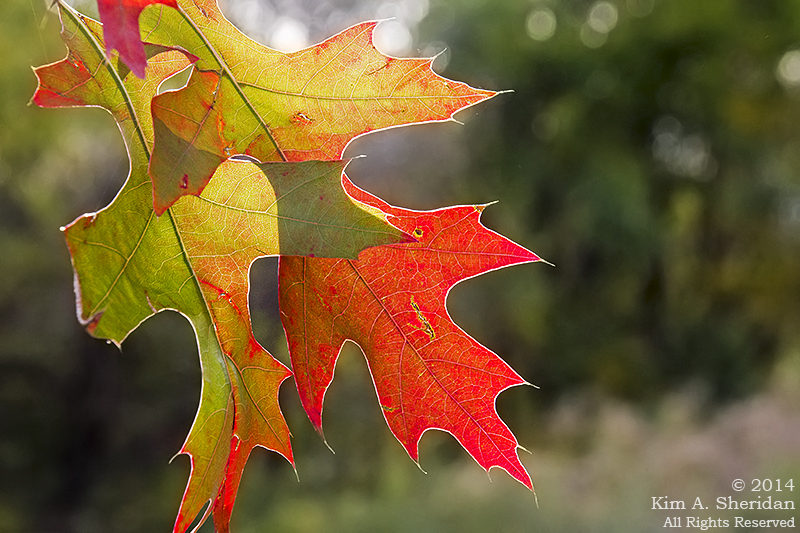 When the day shortens and sunlight fades in fall, the chlorophyll also fades. This reveals the yellows and oranges of the carotenoid pigments, which have been present all along. 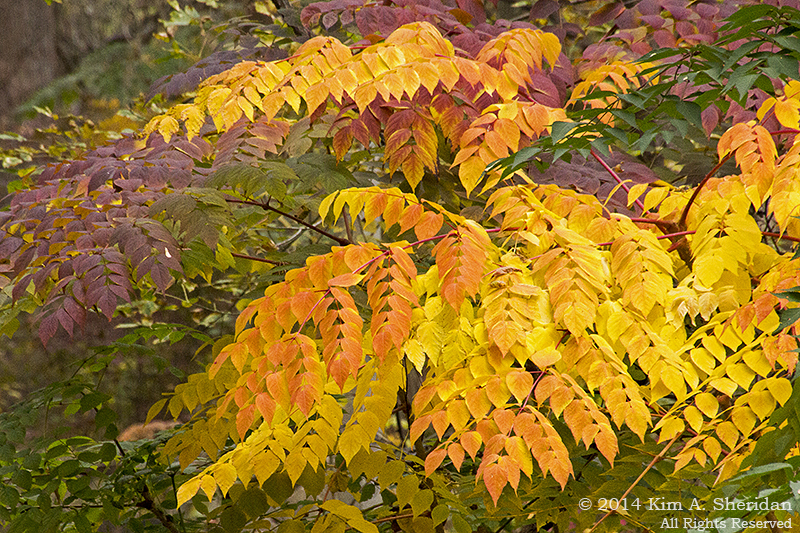 In addition, some trees produce anthocyanins in the fall, which turn leaves red and even purple. Leaves are vulnerable to freezing, so to protect the tree throughout the cold winter, the leaves close their veins and fall away. Lady Autumn samples many smaller stages before she is ready to take her act to Broadway. 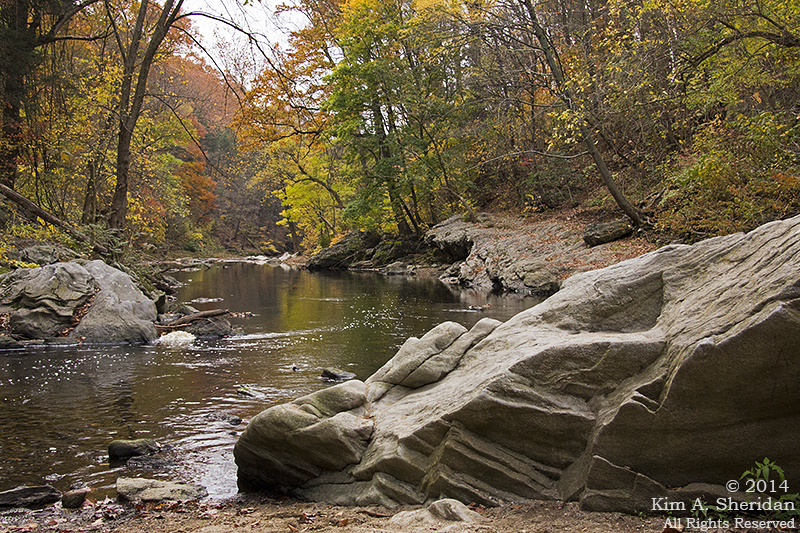 The theater of choice this year is the Wissahickon Valley. A wise choice it is indeed. 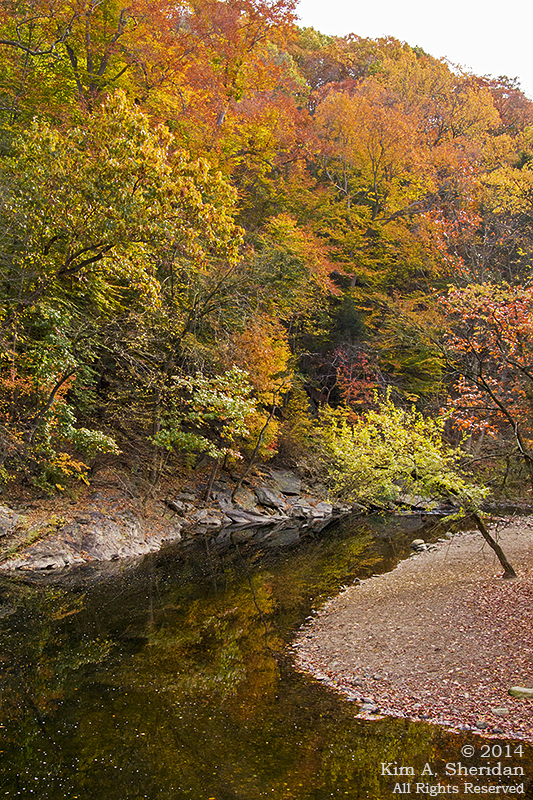 The slopes of the deep gorge abound with trees that can best show off her finery. 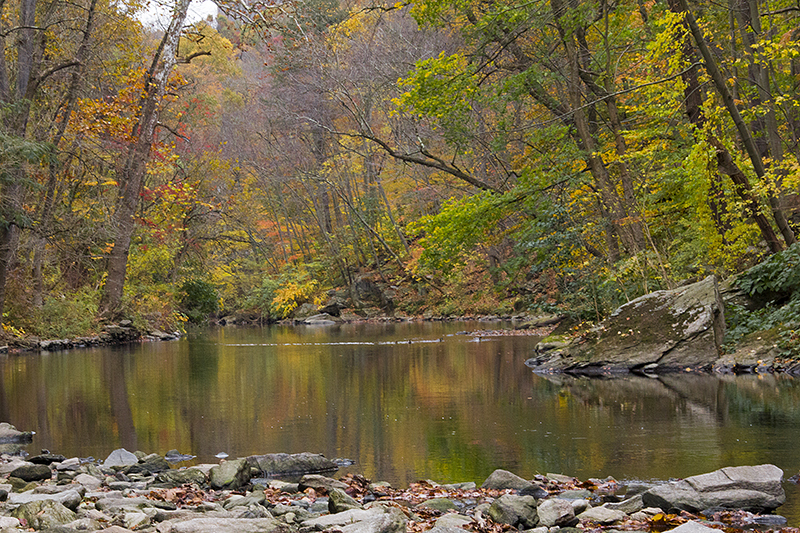 She cannot help but admire herself in the mirrored surface of Wissahickon Creek. No unblemished mirror is this Creek. 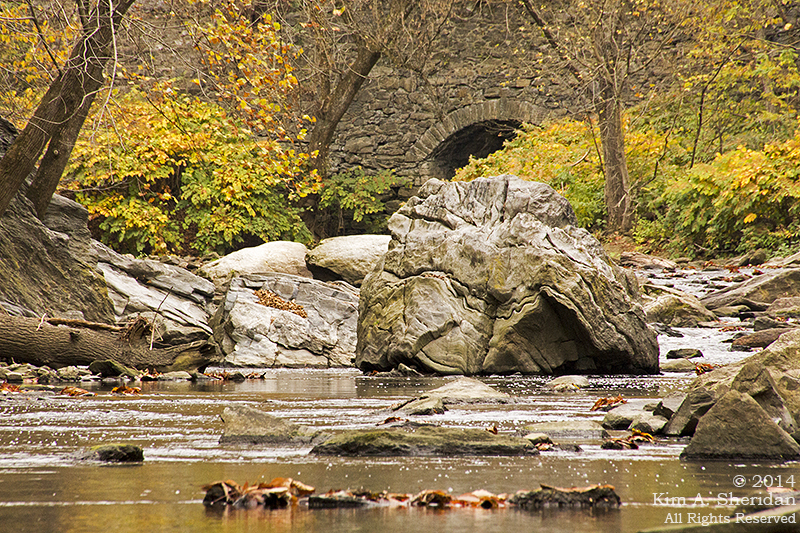 All along its course are boulders of Wissahickon schist, smoothed and weathered with time. Far from detracting from Her Ladyship’s beauty, they seem somehow to enhance it. As do some creations of Man. The Bluestone Bridge was built in 1896 to carry travelers across the creek to the Lotus Inn. The old roadhouse is long gone, but the bridge remains. 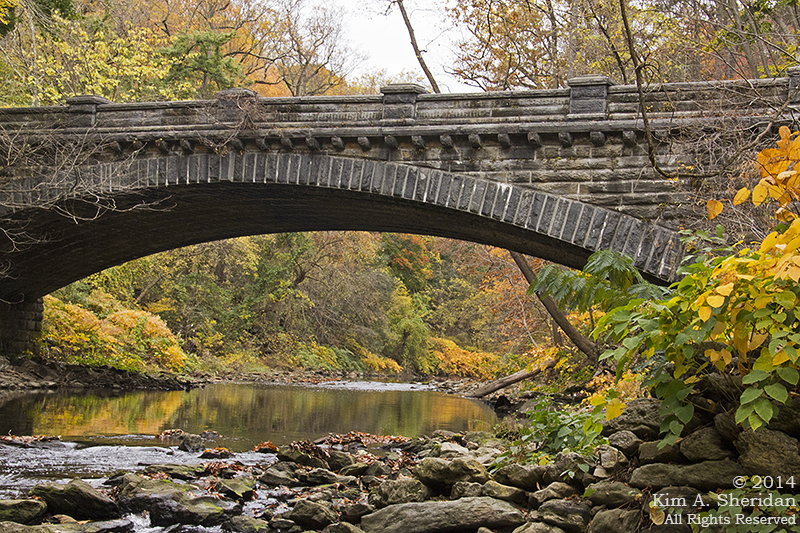 Elsewhere, the Walnut Lane Bridge provides a more modern backdrop to Lady Autumn’s colorful dance. Now the days grow short, and the hounds of the Winter Queen can be heard baying throughout the woods. Lady Autumn’s entourage finds much preparation needed before the curtain closes. 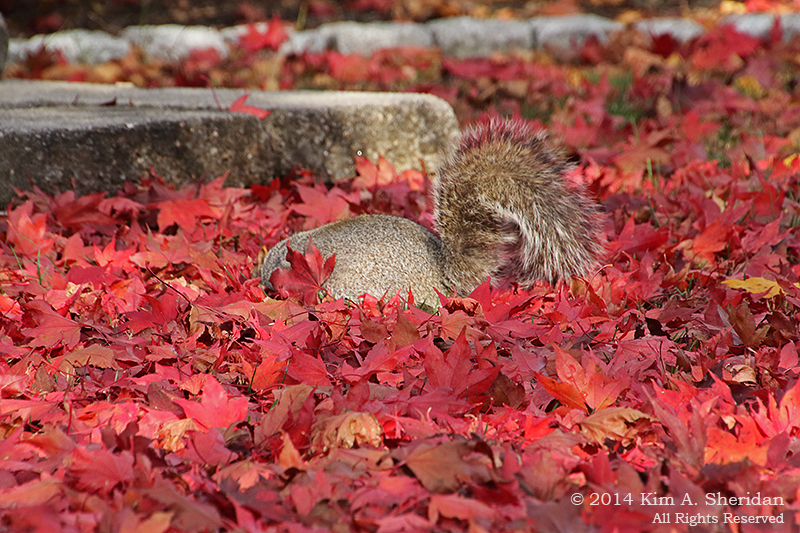 Soon the last of Autumn’s finery, discarded along the wayside, will fade to brown, to be gathered and taken away. 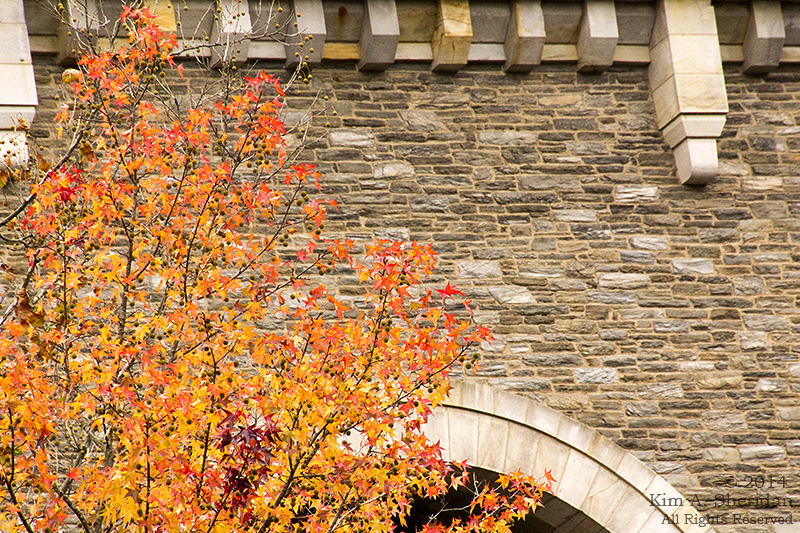 Not to be rushed is our Lady, though; before ceding the stage, she will have her encore, one last turn along the Wissahickon, one last dance in the gorgeous gorge. 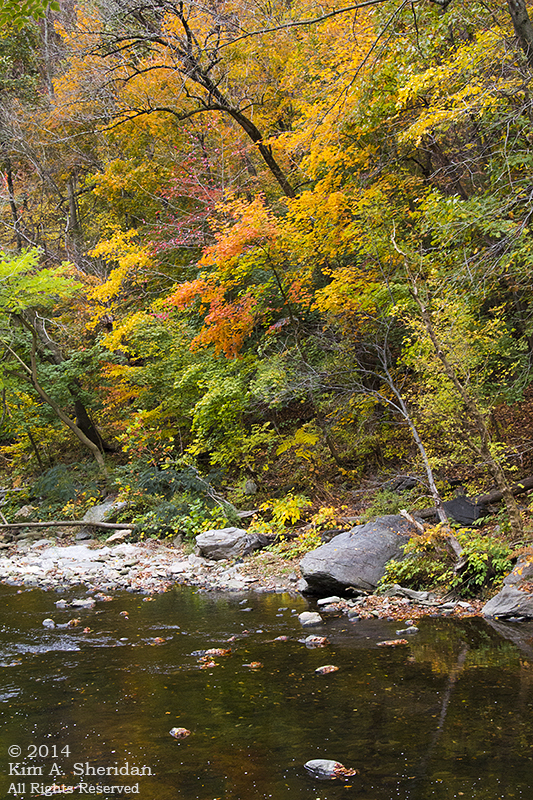 This entry was posted in Nature and tagged Fall Foliage, Hawk Mountain, Wissahickon by Kim. Bookmark the permalink. Kim, this is great! You should write for a magazine! !